Marty Keane, BCE, has joined Nisus Corp., a Rockford, Tenn.-based manufacturer of sustainable pest control products. Keane has more than 25 years of sales experience in the pest control industry, and will be focused on building relationships with pest control companies and distributors in the south-central states, including Texas, Oklahoma, Arkansas, Louisiana and Missouri. Keane is a Board Certified Entomologist (BCE), a licensed certified applicator, and a certified continuing education unit (CEU) instructor in Texas for Pest Control, Wood Destroying Organisms, Lawn & Ornamental & Weed Control, Wood Preservation and Commodity Fumigation. “Marty is a great fit for this position. I am confident that her extensive industry knowledge, energy and dedication will help build strong relationships in her territory. 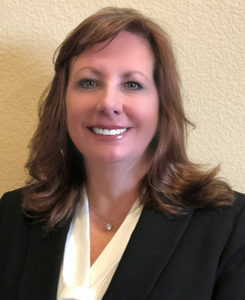 She is a great addition to our sales team,” says Lee Barrett, divisional VP, Domestic/International Pest Control, for Nisus Corp.